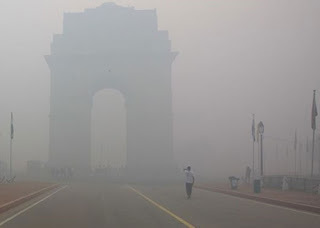 The Random Lesson: Delhi Smog: धुंध की मार से यातायात बुरी तरह प्रभावित..Delhi air pollution: Air still 'hazardous. सड़क यातायात की बात करें तो आगरा-यमुना एक्सप्रेसवे पर धुंध के कारण कई दुर्घटनाएं हुई हैं. इनमें करीब आधा दर्जन लोग घायल हो गए. बठिंडा-चंडीगढ़ हाईवे पर हुए एक्सीडेंट में नौ लोगों के मारे जाने के समाचार है / केंद्र तथा दिल्ली सरकार ने इस धुंध से बचने के लिए लोगों को सावधानी बरतने की अपील की है. दिल्ली सरकार ने बच्चों को धुंध के कहर से बचाने के लिए इंटरमीडिएट तक के सभी सरकारी और निजी स्कूलों को अगले आदेश तक के लिए बंद कर दिया है. सरकार ने बच्चे तथा बुजुर्गों को घरों में रहने की अपली की है. इस धुंध के कारण सांस लेने में तकलीफ तथा आंखों में जलन जैसी परेशानी देखने को मिल रही है. मौसम विभाग ने हवा की क्वालिटी का इंडेक्स जारी करते हुए द्वारका, पंजाबी बाग, शादीपुर तथा आनंदविहार इलाके की हवा को सबसे ज्यादा प्रदूषित बताया है. बताया जा रहा है कि हरियाणा, पंजाब और उत्तर प्रदेश में बड़ी मात्रा में धान के खेतों में पराली जलाने के कारण आसमान में धुंध छा गई है. The air quality index continues to be in the hazardous category in various parts of Delhi with the smog affecting the visibility for the third day in a row on Thursday. Fourty one trains coming in and going out of Delhi have reported a delay due to the worsening smog situation. 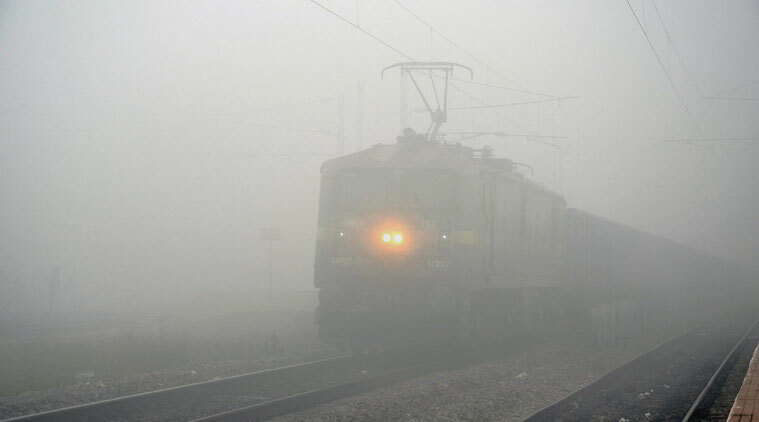 Nine trains have been rescheduled and ten others have been cancelled. The air quality index on Thursday morning recorded Punjabi Bagh at 799, Dwarka at 388, Shadipur at 362, Anand Vihar at 515. Authorities in the 'gas chamber' have been forced to shut the schools down. 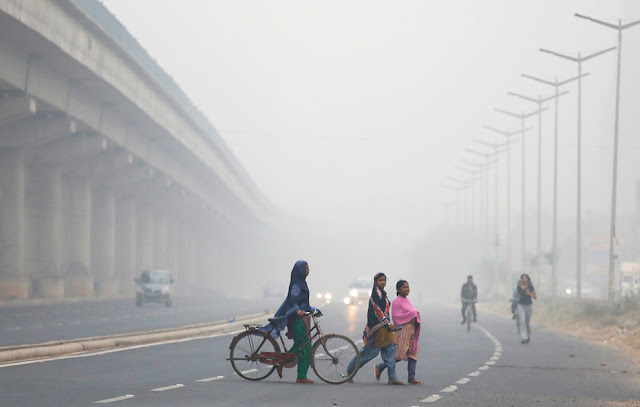 A decision will also be taken by the Environment Pollution (Prevention & Control) Authority (EPCA) on whether the odd-even road management system will be implemented again in the capital. 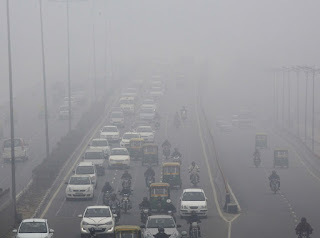 Delhi has one of the highest motor vehicles' density in the country and entry of heavy vehicles from other states leads to not just congested roads but higher pollution levels. The current situation though is being primarily blamed on stubble burning in adjoining states and prevailing weather conditions. Odd-even road management though may still manage to create some level of positive impact, say environment experts. 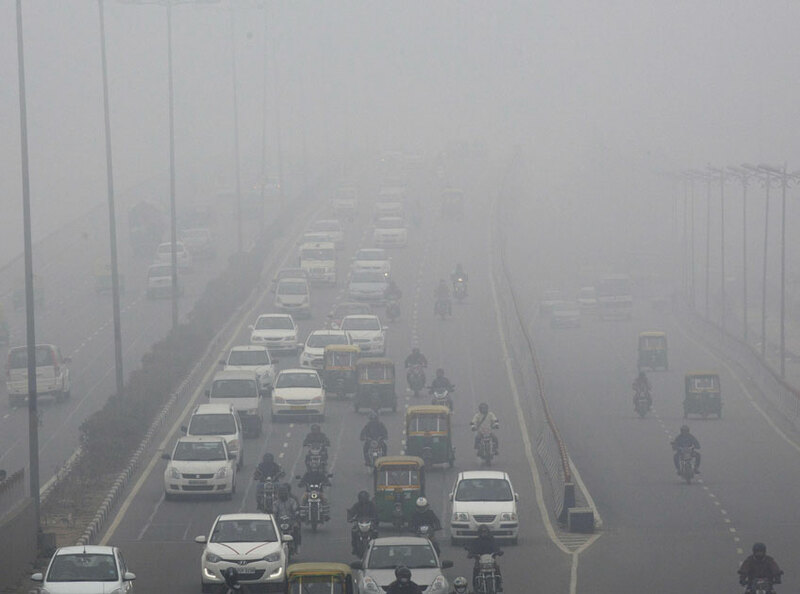 The air quality index on Thursday morning recorded Punjabi Bagh at 799, Dwarka at 388, Shadipur at 362, Anand Vihar at 515. Hey Friends, share this article with your friends.